NETGEAR ProSAFE Click Switches™ address this issue with an innovative and thoughtful hardware design, including the flexible 1-2-3-4 Click mounting system. The new ProSAFE Click Switches are Gigabit Ethernet switches with an industry-first, bracket mounting system for easy installation. 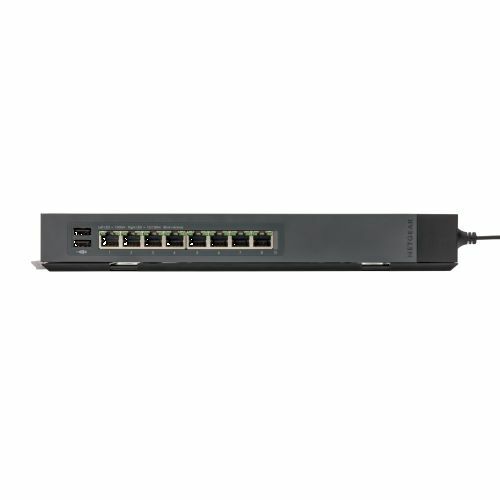 Available in either 8- or 16-Gigabit port configurations, their slim design and internal power supplies enables you to organize wires, secure cables, eliminate bulky power adapters, and improve the overall appearance of wiring closets, training facilities, lab benches, conference rooms, and entertainment centers that require multiple connected devices.